Natural lip care is much different from the rest of our skin. Let's face it our lips take a lot of abuse. Harsh lipsticks, the sun's rays and dry winters are hard enough on our lips, but when you consider what else we do to them it's no wonder they may need a little extra attention. Licking your lips and eating alone can be very hard on your lips sensitive skin. Eating salty and spicy foods can dry and burn lips making them sometimes quite sore. Soft, smooth pink lips are something that have always been considered beautiful and is something that every woman wants to have. The good news is that it is easily attainable, affordable and is completely natural! Here are some simple guidelines to having smooth, moist lips. Exfoliate your lips every morning before putting on your lip moisturizer. Do this by gently using a soft cotton cloth. Removing dead skin cells gives your lips a nice fresh look. Always apply natural lip balm under lipstick and lip gloss. Be sure your lipstick contains Vitamin E and a sunscreen. 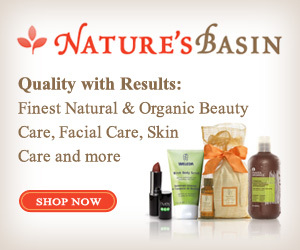 You can also buy natural or organic lip glosses and lipstick s. There are many natural and organic cosmetic companies now that have a wide range of products for natural skin care. Dip black tea bags into boiling water and once cooled enough press against lips for a few minutes. This will increase the moisture in your lips. Dab honey on your lips and let sit for ten minutes. Gently rinse off. Honey has humectants that have both healing and moisturizing powers which is good for dry or cracked lips. A paste made from beeswax and olive oil is an extremely effective in treating severely cracked, dry lips. If you have very sensitive skin shea butter and mango butter are a very good choice. You can apply them by themselves or use them in your favorite lip balm recipe. Licking your lips, especially in dry whether is always bad. I am sure we have all experienced that terrible cycle of licking our lips to moisturize them only to make them even drier and more sore. It is handy to try and keep a stick of natural lip balm in several different places. Always have one in your purse, one at work, one in your car and one at home. There is nothing worse than having dry lips and having nothing to put on them. If you always have lip balm on hand this is half the battle of having soft smooth lips. Give these simple guidelines a try and you will be amazed at the results. You can use natural ingredients that you already have in your kitchen or you can step it up and make your own lip balm. There are also companies that sell lip balm making kits. They gather up all the ingredients you need in to one convenient package making it so easy to to make your own lip balm.